The YES! 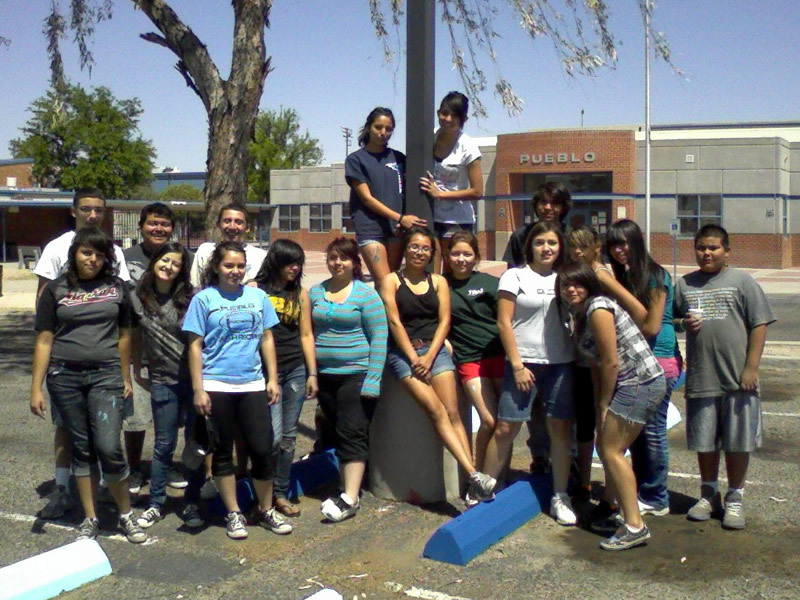 Club and Future Teachers of Arizona collaborated this weekend to give our parking lot a little makeover. 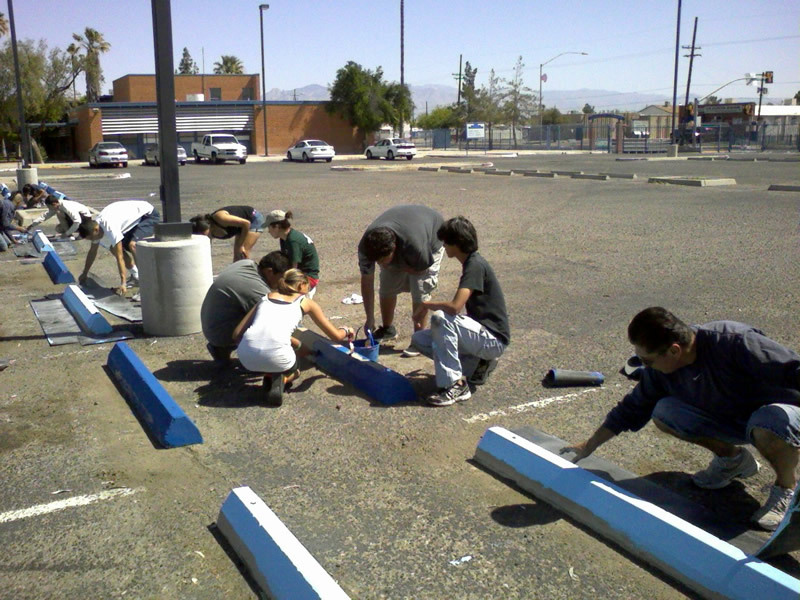 Members of both clubs came on Saturday morning to paint the curb barriers with Pueblo colors. Philip Alvarez, Yahaira Barcelo, Angel Barcelo, Peter Casillas, Chantelle Contreras, Manuel Encinas, Brandon Garcia, Alejandra Gonzalez, Adilene Guevara, Oscar Hernandez, Laura Karina Lopez, Yaritza Martinez, Jazmin Nogales, Rheannon Olvera, Alvaro Oquita, Ben Rios, Gabrielle Rios, Clarissa Romero, Lauro Soto, Brisenia Sosa, Gardenia Tapia & Brianna Valencia. It’s a work in progress and we look forward to the completion of the project. Great job Warriors! Thank you Mrs. Avila-Miranda & Mrs. Stull for pictures. 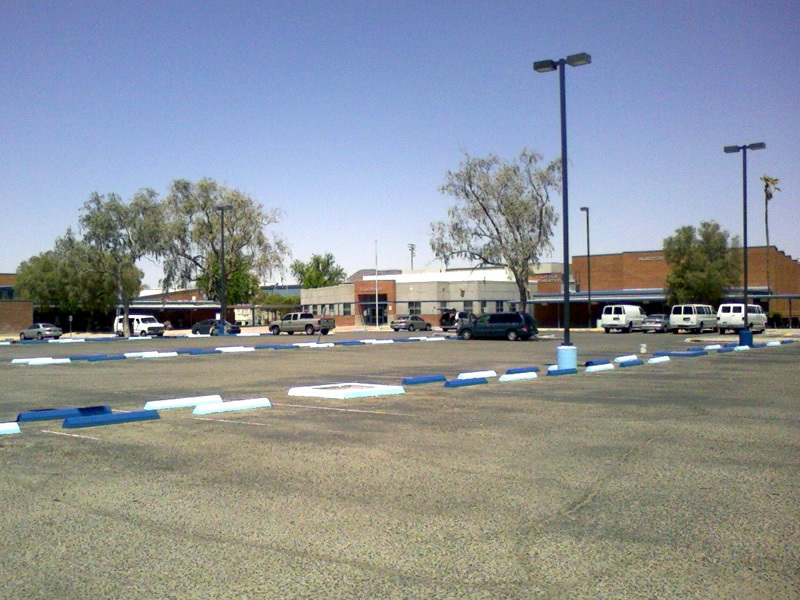 BIG THANK YOU to Mike Stanford from the City of Tucson Graffiti Abatement Office and Dunn Edwards Paint for donating all of the blue paint!